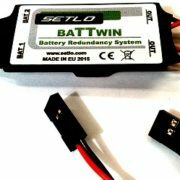 BaTTwin was designed specifically for large RC models. 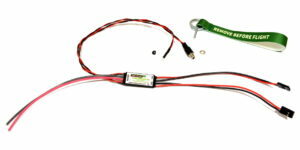 It allows to use two identical batteries as the main power for the receiver and servos. 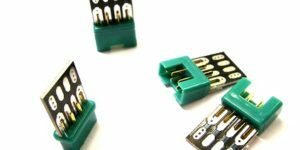 Its main task is to diversify and power redundancy, thereby significantly reducing the risk of control loss in the case of failure of one battery or power pack. 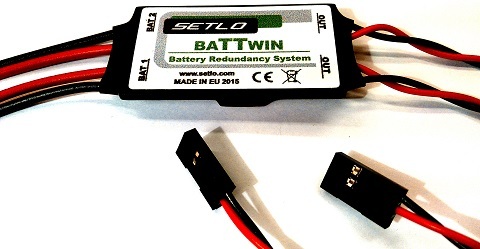 It should be added that BaTTwin it self also has two independent and redundant power circuits. 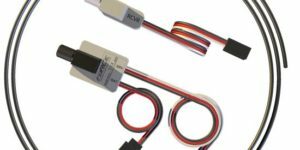 The device continuously monitors voltage level of both batteries and always charged the one with the higher momentary voltage – switching between battery is unobtrusive and cyclically without interruption to the power supply even at high power consumption. In case of use the same batteries they will be discharged simultaneously. The use of such two batteries for example. 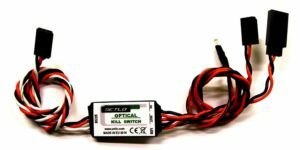 Lipo 7.4V 2200mAh – results that there is 4400mAh available for flight. 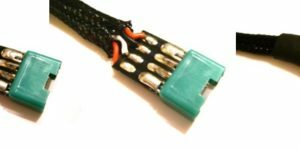 -In the case of an internal short-circuit in one battery, or contact one of the input side of BaTTwin(eg in a switch, or frayed wires). The receiver will constantly receive power from the second battery. Switching occurs transparently and without any interruption to the power supply and servos. However, in the case of short-circuit the battery, it is possible to catch fire of the battery. Shorting a one battery WILL NOT AFFECT efficient of a second battery. 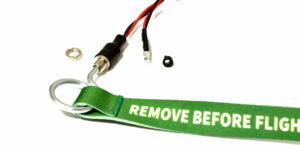 -In case of failure of one battery (sudden voltage drop, or reduction in the capacity of the old package) receiver will constantly receive power from the second battery, switching takes place in a way that is not noticeable and without interruption to the power supply and servos. -In case of disconnection of one battery (failure or malfunction in switch contacts). 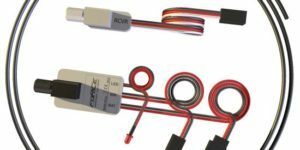 The receiver will continually receive power from the second battery, switching takes place in a way that is not noticeable and without interruption to the power supply and servos. 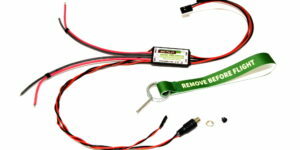 -Protection when connecting the battery in reverse polarity. There will be no voltage at the BaTTwin outputs. – wide range input voltage.